Its quarterly results time and there is only one place to start – an assessment of how BP’s finances are coping in wake of Macondo. Its quarterly data suggests the oil major made profits of US$5.3 billion in the three months to June-end. This is down marginally from the US$5.5 billion it made in Q1 2011 and a predictable reversal of the US$17 billion loss over the corresponding quarter last year when the cost of the Gulf of Mexico spill weighed on its books. Elsewhere in the figures, BP's oil production was down 11% for the quarter on an annualised basis and the company has also sold US$25 billion worth of assets to date, partly to offset costs of the clean-up operation in the Gulf. City analysts told the Oilholic that BP should count itself lucky as the crude price has been largely favourable over the last 12 months. Moving away from BP, it is worth turning our attention to the perennially crude question, what price of black gold is the Saudi Arabian Government comfortable with? An interesting report published by Riyadh-based Jadwa Investment suggests that the “breakeven” price for oil that matches actual revenues with expenditures is currently around US$84 per barrel for the Kingdom, comfortably below the global price. The Oilholic agrees with the report’s authors - Brad Bourland and Paul Gamble – that it is bit rich to assume the Saudis crave perennially high oil prices. Au contraire, high oil prices actually hurt Saudi Arabia’s long term future. Bourland and Gamble feel the Kingdom would be more comfortable with prices below US$100 per barrel; actually a range of US$70-90 per barrel is more realistic. Using either benchmark, prices are comfortably above the range and are likely to stay there for the rest of the year, if that is what the Saudis are comfortable with. Analysts at Société Générale CIB maintain their view for Brent prices to be in the US$110-120 range in H2 2011 on mixed fundamental and non-fundamental drivers. They note that there may be some slight upside to their Brent forecast, and some moderate downside to their WTI forecast. At 8:00 GMT, ICE Brent forward month futures contract was trading at US$118.04 and WTI at US$99.56. Looking from a long term macroeconomic standpoint, the Jadwa Investment report notes that after the benign decade ahead, unless the current spending and oil trends are changed, Saudi Arabia faces a very different environment. For instance, domestic consumption of oil, now sold locally for an average of around US$10 per barrel, will reach 6.5 million barrels per day in 2030, exceeding oil export volumes. Jadwa Investment does not expect total Saudi oil production to rise above 11.5 million barrels per day by 2030. Even with a projected slowdown in growth of government spending, the breakeven price for oil will be over a whopping US$320 per barrel in 2030. Furthermore, the Saudi government will be running budget deficits from 2014, which become substantial by the 2020s. By 2030, foreign assets will be drawn down to minimal levels and debt will be rising rapidly. 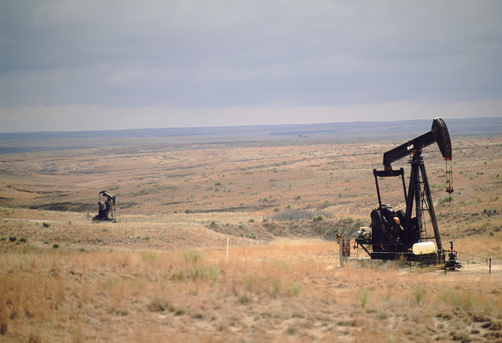 Before you go “Yikes”, preventing this outcome, according to Bourland and Gamble, requires tough policy reforms in areas such as domestic pricing of energy and taxation, an aggressive commitment to alternative energy sources, especially solar and nuclear power, and increasing the Kingdom’s share of global oil production. By no means a foregone conclusion, but not all that easy either. Continuing with the Middle East, apart from crushing dissent and chastising the US government for interference, the Syrian government is apparently also open for crude business. In an announcement on July 7th, the creatively named General Establishment for Geology and Mineral Resources (GEGMR) under auspices of the Syrian Petroleum and Mineral Resources Ministry invited IOCs to bid and develop oil shale deposits in the Khanser region in the north. The Ministry says total crude reserves at the site are “estimated” at 39 billion tonnes with the oil content rate valuation at 5 to 11%. While the tender books, costing US$3,000 each were issued on July 1st, the Ministry declined to answer how many were sold, who took them up and how the bid round is supposed to work in face of international condemnation of what is transpiring within its borders. Elsewhere, Chinese state behemoth CNOOC’s recent acquisition of a 100% stake in OPTI Canada Inc, a TSX-listed oil sands producer, made the headlines. The aggregate consideration for the transaction is about US$2.1 billion. OPTI owns a 35% working interest in four oil sands projects in Canada – Long Lake, Kinosis, Leismer and Cottonwood. As such, Moody’s feels CNOOC Aa3 issuer and senior unsecured ratings will not be immediately affected by its acquisition. It also helps that there are no US-style murmurings of dissent in Canadian political circles. US major ConocoPhillips' announcement last Friday that it will be pursuing the separation of its exploration and production (E&P) and refining and marketing (R&M) businesses into two separate publicly traded corporations via a tax-free spin-off R&M to COP shareholders does not surprise the Oilholic. Rather, it is a sign of crude times. Oil majors are increasing turning their focus to the high risk, high reward E&P side of things rather than the R&M business where margins albeit recovering at the moment, continue to be abysmal. Most oil majors are divesting their refinery assets, and even BP would have done so, regardless of the Macondo tragedy forcing its hand towards divestment. ConocoPhillips’ decision should not be interpreted as a move away from R&M – nothing in the oil business is either that simple or linear. However, it certainly tells us where its priorities currently lie and how it feels the integrated model is not the best way forward. This is in line with industry trends as the Oilholic noted last November. Meanwhile, following the announcement, ratings agency Moody's says it may review ConocoPhillips' ratings for possible downgrade with approximately US$19.6 billion of rated debt being affected. This includes A1 senior unsecured and other long-term debt ratings of the parent company and its rated subsidiaries. Tom Coleman, Moody's Senior Vice-President notes that the distribution to shareholders of the large R&M business could weaken the credit profile of ConocoPhillips and result in a downgrade of its A1 rating. "Our review will focus on the company's capital structure following the spin-off, including the potential for debt reduction by ConocoPhillips, along with its financial policies and growth objectives going forward as a stand-alone E&P company," he concludes. The wider market is waiting to get a clearer understanding of the oil major’s plans for debt reduction, capital structure and financial policies as an independent E&P. Continuing with corporate deals, BHP Billiton made a strategic swoop for Petrohawk Energy. The cash acquisition, also announced last Friday, to the tune of US$12.1 billion, will give it access to shale oil and gas assets across Texas and Louisiana. BHP’s latest move follows its earlier decision to buy Chesapeake Energy's Arkansas-based gas business for US$4.75 billion. Meanwhile, figures released by Brazil’s Petrobras for the month of June indicate that the company’s domestic production rose 3.5% on an annualised basis. The results were boosted by the resumption of production on platforms that had been undergoing scheduled maintenance in the Campos Basin, and startup of a new well connected to platform Jubarte field's P-57 in the Espírito Santo section of the Campos Basin. The Extended Well Test (EWT) in the Campos Basin's Aruanã field also started up in late June. However, its international output was down 5.6% on an annualised basis due to operating issues and tax payments in Akpo, Nigeria. Petrobras' average oil and natural gas production (both domestic and overseas) amounted to 2,641,508 barrels of oil equivalent per day (boed), 2.13% up on the total figure for May 2011. Finally, European woes are weighing on the crude markets. With the NYMEX August crude futures contract due to expire on Wednesday, intraday trading at one point, 1045 GMT to be precise, saw it down 0.31% or 33 cents at US$96.91 a barrel. Concurrently, the September ICE Brent futures contract was down 0.6%, 74 cents at US$116.44 a barrel. There is a lot going on at the moment for commentators to easily and conveniently adopt a bearish short term stance on the price of crude. Take the dismal US jobs data, Greek crisis, Irish ratings downgrade and fears of contagion to begin with. Combine this with a relatively stronger dollar, end of QE2 liquidity injections, the finances of Chinese local authorities and then some 50-odd Chinese corporates being questioned and finally the US political standoff with all eyes on the Aug 2 deal deadline or the unthinkable. Additionally, everyone is second guessing what crude price the Saudis would be comfortable with and MENA supply fears are easing. Quite frankly, all of these factors may collectively do more for the cause of those wishing for bearish trends than the IEA’s announcement last month – no not the one about the Golden Age of gas, but the one about it being imperative to raid strategic petroleum reserves in order to ‘curb’ rising prices! The Oilholic remains bullish and is even more convinced that IEA’s move was unwarranted and so are his friends at JP Morgan. In an investment note, they opined that the effectiveness of IEA’s coordinated release is a matter of some debate and crude prices have rebounded quickly. “But while the US especially has demonstrated a willingness to use oil reserves as a stimulus tool in what has become a rather limited toolbox, a second release will require higher prices and a far more arduous task to achieve unity,” they concluded. Now, going beyond the short to medium term conjecture, the era of cheap oil, or shall we say cheap energy is fading and fast. An interesting report titled – A new world order: When demand overtakes supply – recently published by Société Générale analysts Véronique Riches-Flores and Loïc de Galzain confirms a chain of thought which is in the mind of many but few seldom talk of. Both analysts in question feel that the last long cycle, which extended from the middle of the 1980s to the middle of the 2000s, was shaped by an environment that strongly favoured the development of supply; the next era will in all likelihood be dictated by demand issues. IEA itself estimates that demand will grow by an average of 1.47 million barrels a day (bpd) in 2012, up from the current 2011 average of 1.2 million bpd. Moving away from crystal ball gazing, Bloomberg’s latest figures confirm that record outflows from commodity ETPs (ETF, ETC and ETN) observed in May slowed abruptly. According to SG Cross Asset Research apart from net inflows into precious metals – the biggest sub-segment measured by assets under management – other categories such as Energy and base metals saw limited net outflows (see table on the left, click to enlarge). Meanwhile, the London Stock Exchange (LSE) was busy welcoming another new issuer of ETFs – Ossiam – on to its UK markets on Monday. It is already the largest ETF venue in Europe by number of issuers; 20 to be exact. According to a spokesperson there are 481 ETFs listed on the LSE. In H1 2010 there were 369,600 ETF trades worth a combined £19 billion on the Exchange's order book, a 40.3% and 33.5% increase respectively on the same period last year. Switching to corporates and continuing with the LSE, today Ophir Energy plc was admitted to the Main Market. The company listed on the Premium segment of the Main Market and raised US$375 million at admission and has a market capitalisation of US$1.28 billion. Ophir is an independent firm with assets in a number of African countries particularly Tanzania and Equatorial Guinea. Since its foundation in 2004, the company has acquired an extensive portfolio of exploration interests consisting of 17 projects in nine jurisdictions in Africa. The company is one of the top five holders of deepwater exploration acreage in Africa in terms of net area and could be one to watch. So far it has made five discoveries of natural gas off Tanzania and Equatorial Guinea and has recently started drilling in the offshore Kora Prospect in the Senegal Guinea Bissau Common Zone. For the LSE itself, Ophir brings the number of companies with major operations in sub-Saharan Africa listed on its books to 79. Across the pond, Vanguard Natural Resources (VNR) announced on Monday that it will buy the rest of Encore Energy Partners LP it does not already own for US$545 million, gaining full access to the latter’s oil-heavy reserves. While its shares fell 8% on the news, the Oilholic believes it is a positive statement of intent by VNR in line with moves made by other E&P companies to secure reserves with an eye on bullish demand forecasts over the medium term. Meanwhile, a horror story with wider implications is unfolding in the US, as ExxonMobil’s Silvertip pipeline leaked oil into the Montana stretch of the Yellowstone River on July 1. The company estimates that almost 42,000 gallons may have leaked and invariably questions were again asked by environmentalists about the wisdom of giving the Keystone XL project the go-ahead. This is not what the US needed when President Obama was making all the right noises – crudely speaking that is. In March, he expressed a desire to include Canadian and Mexican oil in the US energy mix, in May he said new leases would be sold each year in Alaska's National Petroleum Reserve, and oil and gas fields in the Atlantic Ocean would be evaluated as a high priority. To cap it all, last month, the President reaffirmed that despite the BP oil spill in the Gulf of Mexico in 2010, drilling there remained a core part of the country's future energy supply and new incentives would be offered for on and offshore development. Leases already held but affected by the President's drilling moratorium, imposed in wake of the BP spill, would be eligible for extensions, he added. The ExxonMobil leak may not impact the wider picture but will certainly darken the mood on Capitol Hill. Russians and Norwegians have no hang-ups about crude prospection in inhospitable climates – i.e. the Arctic. Details are now emerging about an agreement signed by the two countries in June which came into effect on July 7. Under the terms, both countries’ state oil firms – i.e. 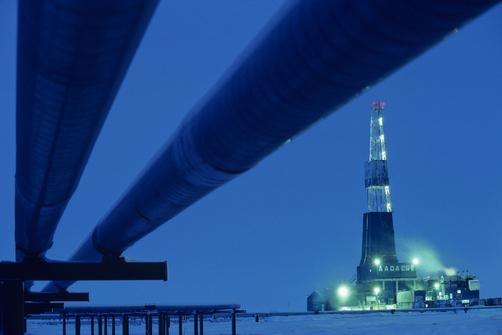 Russia’s Gazprom and Norway’s Statoil – will divide up their shares of the Barents Sea. 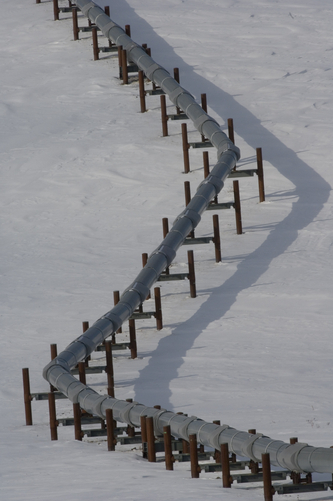 USGS estimates from 2008 suggest the Arctic was likely to hold 30% of the world's undiscovered gas and 13% of its oil. Finally, Sugar Land, Texas-based Industrial Info Resources (IIR) came-up with some interesting findings on the Canadian oil sands. 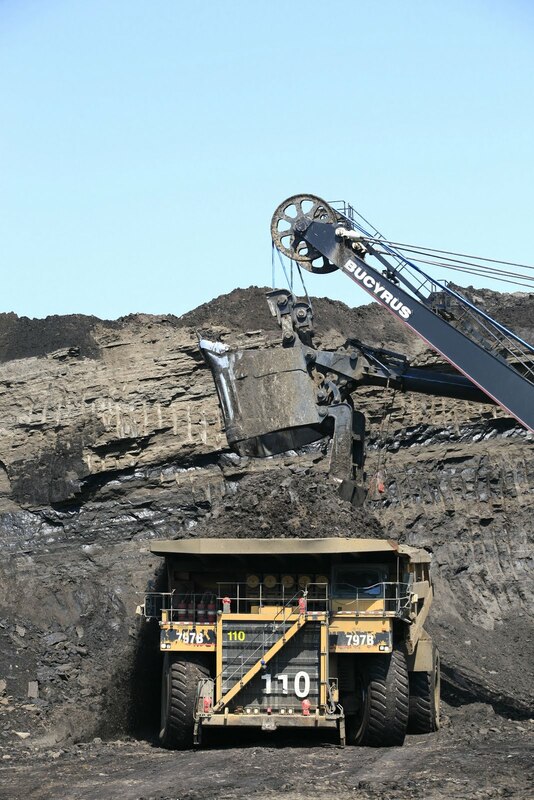 In a report last week, the research firm noted that Canada's Top 10 metals and minerals industry projects are large scale oil sands and metal mining endeavours, with the No. 1 being in Alberta's oil sands. IIR observed that what was once considered a “large project” was now being dwarfed by “megaprojects”. Not long ago a project valued at CAD$1 billion was considered a mega project; now the norm is more in the region of CAD$5 billion (and above) for a project to earn that accolade. Not to mention the fact that the Canadian dollar has been stronger in relative terms in recent years and not necessarily suffering from a mild case of the Dutch disease like its Australian counterpart. IIR’s findings take the Oilholic nicely back to his visit to Calgary in March, a report he authored for Infrastructure Journal and a conversation he had with veteran legal expert Scott Rusty Miller based in Canada's oil capital. We concurred that while the oil sands developments face myriad challenges they are certainly on the way up. The Canadians are developers with scruples and permit healthy levels of outside scrutiny more than many (or perhaps any) other jurisdictions. IIR recorded US$176 billion worth of oil sands projects and all of the projected investment capital, except for one project in Utah, is in Alberta. It is becoming more likely than ever that Prime Minister Stephen Harper’s dream of Canada becoming an energy super power will be realised sooner rather than later. © Gaurav Sharma 2011. Photo 1: Pump Jacks Perryton, Texas © Joel Sartore, National Geographic. Photo 2: Shell Athabasca Oil Sands site work © Royal Dutch Shell. Table: Global Commodity ETPs: Inflows analysis by category © Société Générale July 2011. Notes on a ‘Crude’ fortnight ! It has been a crude ol’ fortnight and there are loads of things to talk about. But first some “fused” thoughts from the Société Générale press boozer in London yesterday. There was consensus among crude commentators at the French investment bank most of whom asked that with commodities prices having been at or near record levels earlier this year, and subsequently subsiding only modestly, can anyone realistically say scribes or paranoid Western commentators are overstating the significance of China's presence in the global commodities markets? Nope! Additionally, should the existing commodities market conditions represent a bubble (of sorts); a deceleration in China could ultimately cause it to burst, they added. Most, but not all, also agreed with the Oilholic that IEA’s move to tap members’ strategic petroleum reserves (SPRs) may push Brent below US$100, but not US$90. At the moment it is doing neither. Finally, it is not yet time to hail shale beyond North America. Population concentration, politics and planning laws in Europe would make Poland a hell of a lot more difficult to tap than some American jurisdictions. From an informal press party to a plethora of formal events at City law firms; of which there have been quite a few over the Q2 2011. Two of the better ones the Oilholic was invited to last quarter happened to be at Fulbright & Jaworski (May 10) and Clyde & Co (May 19). The Fulbright event made Iraq and its “re-emergence” as an oil market as its central focus. Partners at the law firm, some of whom were in town from Houston, noted that since 2009 three petroleum licensing rounds have been held in Iraq with deals signed to cover of 51 billion barrels of reserves. There was enthusiastic chatter about the country’s ambitious plans to increase production from approximately 2.4 million barrels per day (bpd) to 12 million bpd by 2017. The Oilholic was also duly given a copy of the Legal guide to doing business in Iraq which regrettably he has so far not found the time to read. Moving on, the Clyde & Co. event focussed on legal implications one year on from the BP Deepwater Horizon rig explosion. While much of the discussion was along predictable tangents, David Leckie and Georgina Crowhurst of Clyde & Co. drew an interesting comparison between the Piper Alpha tragedy of 1988 in the North Sea and the aftermath of the Gulf of Mexico spill. Agreed that regulatory regimes across the globe are fundamentally different, but observe this – Piper Alpha saw no corporate criminal prosecutions, no individual prosecutions and no top level political criticism. Deepwater Horizon will see FBI criminal and civil investigation, possible individual liability and we all remember President Obama’s “I am furious” remark. Shows how far we have come! Continuing with Deepwater Horizon fiasco, met Tom Bergin last evening, a former broker turned Reuters oil & gas correspondent and a familiar face in crude circles. His book on BP – the aptly titled Spills and Spin: The Inside Story of BP – is due to be released on July 7th. Admittedly, books on the subject and on BP are aplenty since the infamous mishap of April 20th, 2010 and business book critics call them a cottage industry. However, the Oilholic is really keen to read Bergin’s work as he believes that akin to Bethany “Is Enron Overpriced?” McLean and Peter Elkind’s book on the Enron scandal which was outstanding (and surrounded by a cacophony of average “accounts”); this title could be the real deal on BP and the spill. Bergin knows his game, waited to present his thoughts and research in the fullness of time instead of a hurriedly scrambled “make a quick buck” work, has followed the oil major in question and the wider market for a while and has unique access to those close to the incident. Watch this space for a review! Now, on to pricing and industry outlooks – nothing has happened since the Oilholic’s last blog on June 23rd that merits a crude change of conjecture. IEA’s move to tap in to members’ SPRs will not push Brent’s forward month futures contract below US$90 over the medium term. Feel free to send hate mail if it does! Analysts at ratings agency Moody's believe that (i) ongoing unrest in parts of the Middle East and North Africa (MENA); (ii) protracted supply disruptions in Libya; and (iii) lingering questions about OPEC supply are likely to keep crude at premium prices over the next 12-18 months. Finally, the British Bankers Association (BBA) conference last week also touched on crude matters. Gerard Lyons, Chief Economist & Group head of Global Research at Standard Chartered opined that Western economies are two years into a recovery and that growth prospects are far better in the East than in the West. Hence, he also expects energy prices to firm up next year. Douglas Flint, Group Chairman of HSBC Holdings noted that China is now a major destination for Middle Eastern exports (to be read oil and gas, as there is little else). So we’re back where we started this post – in the East that is!